Without a doubt a 5 star ride. 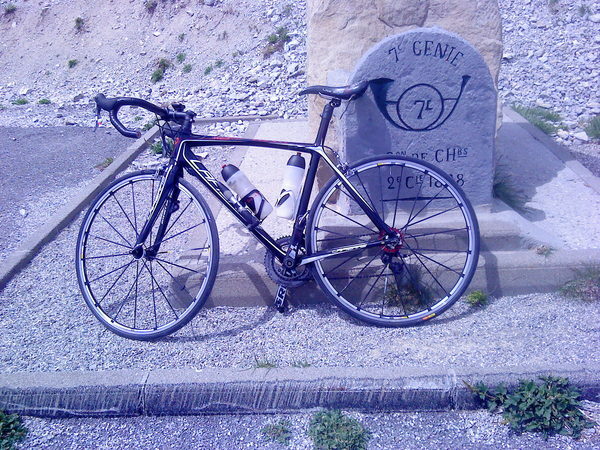 This was my first real Alpine col in 2010 to be followed during the same day by the cols de Larche and Bonette - a well known circuit 'the 3 cols'. Unfortunately had to start the climb 'cold' from Isola village. The first 5 steep kms were made in survival mode after which the climb eased up as my legs warmed up and the gradient reduced. Until Isola 2000 the road is in good condition and wide but without any interesting scenery or other virtues except the gradient. Isola 2000 is an eyesore - as are most ski stations when there isn't any snow. After the ski station the road narrows and steepens on open mountain sides to the col - for me this is the best part of the climb where I've seen chamoix and other wildlife. Great ride with a flatish section to relax a little around half way up. 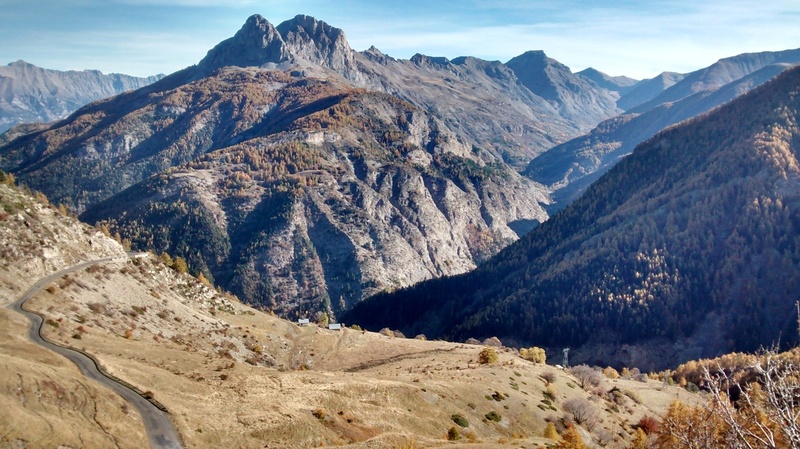 Great views from the road over towards the Col de Cayolle valley. The lower part of the climb is surrounded with trees and provides some shade - the final part is 'open plan'. 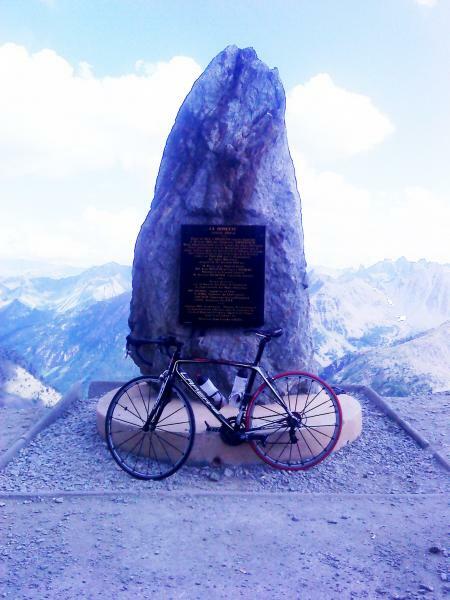 Recommend to do the well known circuit including this col with the cols de Champs and Cayolle. IMO counterclockwise is the more challenging route. Certainly not as interesting or scenic as the Barcelonette side although it looks much better with the autumn colours of the pastures and trees and the ski lifts are not so obvious. The climb is 23 kms long though only the final 7 kms are really climbing - and then not too challenging. The ski station is a real eyesore when you arrive or looking down on it. It's easy to miss the start, look for the cemetery on the lake side of the road and the start is opposite. Very steep and demanding from the first meters. 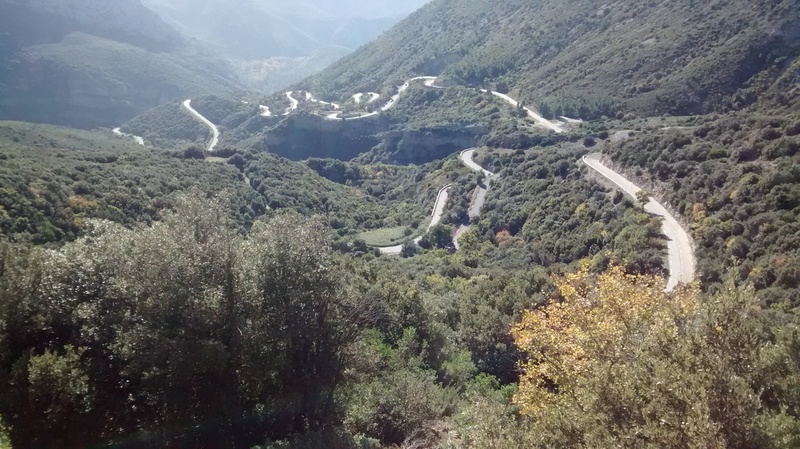 A poor road surface with lots of gravel on the outside of the hairpins which is the only way up - the hairpin interiors are nothing better than 'walls' - so pick your route carefully. Even though it is only 5 kms long if you're in the area it's well worth riding for pride and the bragging rights that go with it. No gear changing necessary - just start all to the left. 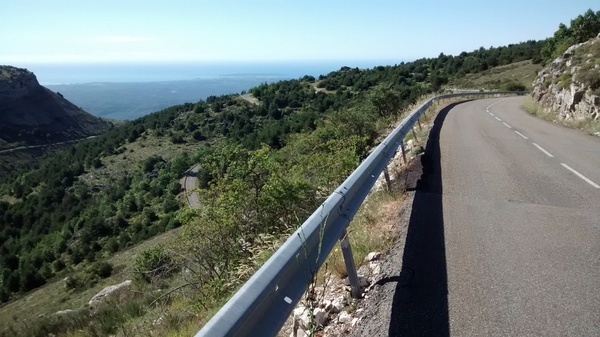 The descent is as demanding as the climb and nerve-racking/dangerous with Madame Gravity working against you again on poor twisting road surfaces - check your brakes! 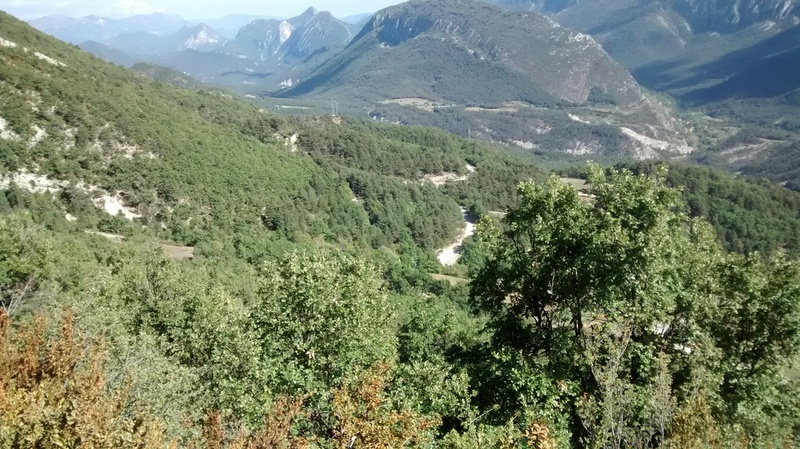 The road is a principal route from Digne towards Barcelonette. The traffic level is OK to ride safely. There's nothing outstanding to see during the climb which starts easily along the valley and gradually increases the gradient as the river is left below and the climb passes into the forest near the summit. Towards the top there is a road sign warning of a 15% descent for traffic going the other way. The final kilometers are testing. 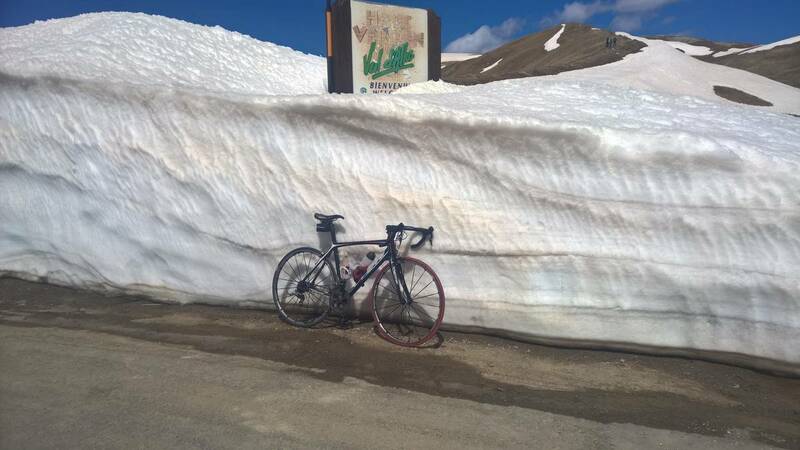 This col is part of a 200 km circuit of Digne, Barcelonette, col d'Allos, St Andre les Alpes, Digne crossing 6 or 7 cols of varying difficulty levels and is feasible during a single day for those in a hurry. 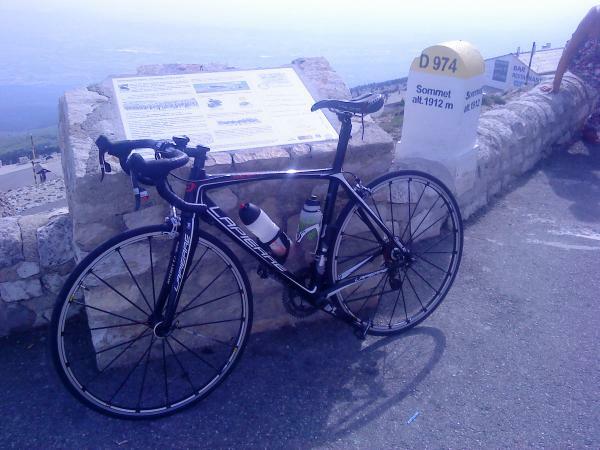 A pleasant rolling ride from, St Pierre until Brianconet where the serious climbing starts. The real climb is harder than the profile suggests, maybe because a flatish section is not identified. Its worthwhile riding through the Clue de St Auban if you haven't passed through on the way to the Pont St Pierre. A stunning road carved into the cliff rock face with the river far below in the clue. There is a water fountain by the road in Brianconet. Brutal until almost the summit. You will only ride it for the shear hell of being able to brag later - if you haven't put a foot on the ground between the start and finish! 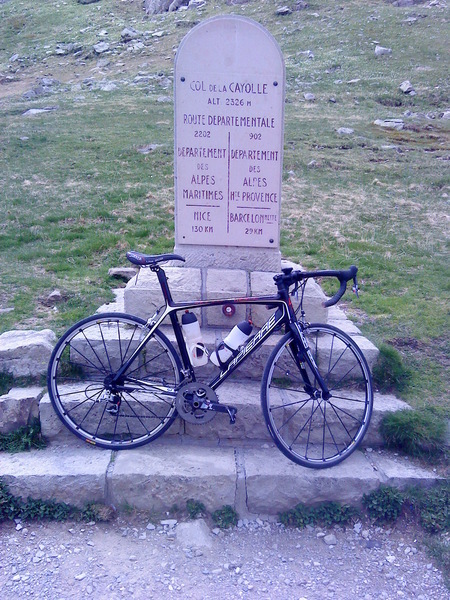 This is the hardest climb I know in this area and overall (in my experience) comes second to the col de Pontis. This col is more of a liaison than a specific target ride. Short with steep sections as it passes through the hill-side forest. 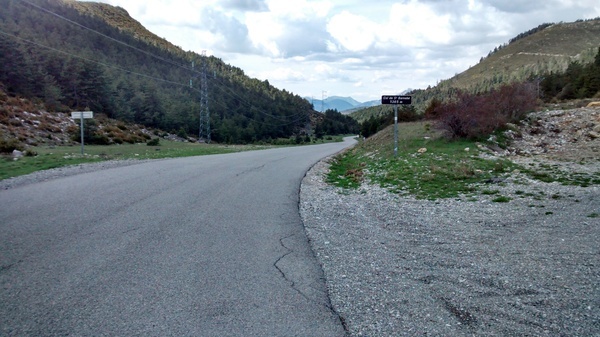 After arriving at Caille continue towards the route Napoleon (direction Grasse) and turn left towards Audibergue going up the Col de Cornille. This is not a 'solitary target' climb - if you are in the area include it in a circuit. 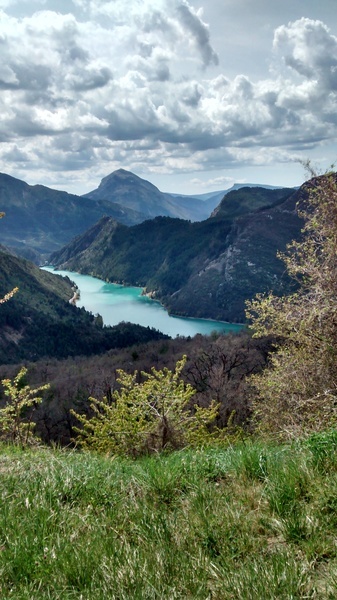 The alternative to climbing the col is going round the Lac Castillon and over the lower col de Roubins which is significantly longer though more scenic. 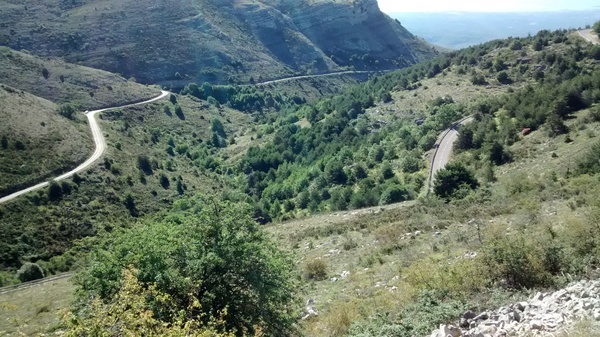 The climb is not too demanding with several hairpins and short steep sections. 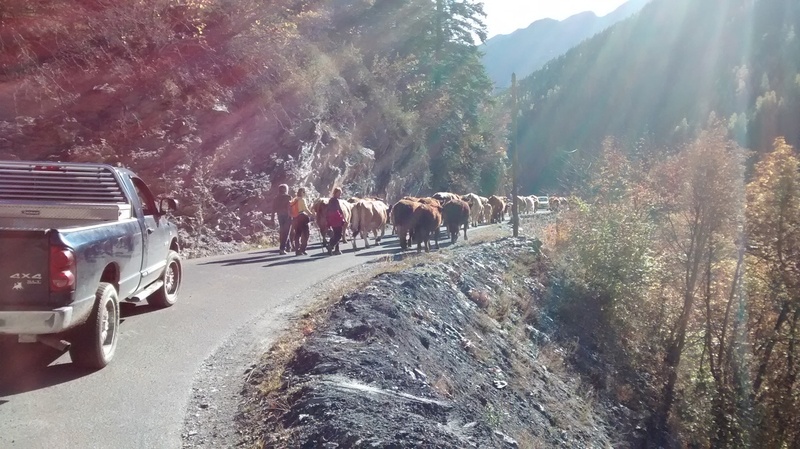 In summer the road (route Napoleon) is heavily frequented by tourist traffic, during the spring time and autumn less so. Short and relatively constant climb - demanding nevertheless. Great views looking down and behind as you go up. 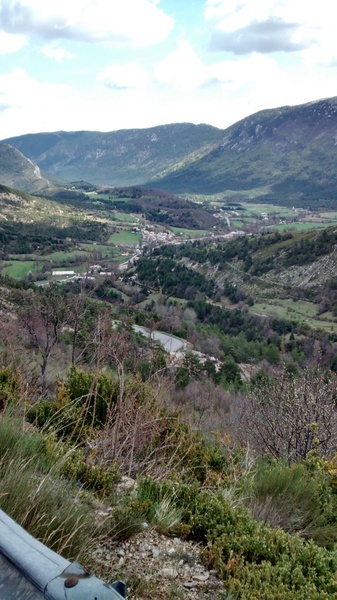 Add to the effort by starting from Speracedes and climbing to Cabris and climbing again toward St Vallier. Fill your water bottles at the fountain in St Vallier as there's not many other opportunities if you are continuing onwards after the summit. A well reputed climb in the area. Steep start on leaving L'Escarene all the way to the summit with a short break after around 4 kms and the final 500m. The steepest section comes after the hairpins which are impressive when you look down on them. There is no shade from the sun in summer so better to ride early morning or late afternoon. To get to L'Escarene from Nice you will first have to climb the Col de Nice which is best done by following the D321 from rather than riding on the main road. There is a water fountain/tap to fill up from in L'Escarene. Going from Sospel towards Menton this road is virtually reserved for cyclists who cannot take the lower road and tunnel used by most cars. Beware of the sun during the summer months which can be more tiring than the gradient. Once you leave the main roads and something heavy traffic onto the D321 the climbing starts. The narrow road twists and turns its way up the pleasant hillside to the Col de Nice where you will rejoin the main road from Nice above L'Escarene. Hard in sections though short. Continue on from Chateauneuf towards Gourdon and the Col de l'Ecre. Going downhill is a blast (60 - 70 kph easily) if your brakes are good and no cars are on your side of the road going the opposite direction. There is a water fountain at the second large roundabout in Chateauneuf opposite the Cafe des Cyclistes. The route is the principal liaison between the Grasse and Vence areas and is of little other interest. On Sunday mornings you will see many groups of cyclists and individuals going one way or the other. Not too demanding climbing it over the 6 or 7 kms. Motorised traffic is not a problem - it's mostly a commuter route.